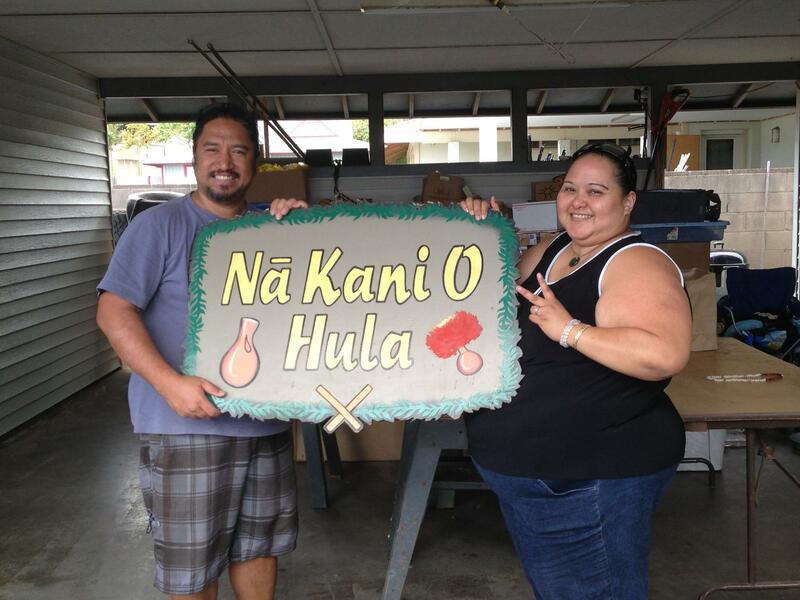 We would like to introduce the new owners of Na Kani O Hula, Kapono and Kanoe Kamaunu. We are very happy this young, Hawaiian, Maui couple will carry on the making of hula instruments. Both are very knowledgeable, passionate and will bring so much more to the table. I would like to share our connection with Kapono. Many years ago, I used to paddle canoe with his kumu hula, Keli’i Tau’a. Keli’i was teaching a few of us a chant in honor of our canoe club. During a break in the teaching, he spontaneously called on one of his students to do a hula for us. This young teenaged boy jumped up with no hesitation and no shyness and did that hula. It made an impression on me and ever since, have kept an eye on him. I was not surprised when he became kumu hula and over the years we had developed a working relationship and friendship. And now we both take on new journeys. Please be patient as we continue the transition but know that Na Kani O Hula is in good hands and will always have our continued support.